At Independent Living, we know how important extra support is when you’re out and about in Minehead, Somerset. That’s why we provide a range of products which are perfect for your daily excursions. These include lightweight wheelchairs and walking sticks, designed to be portable. Whatever your age, requirements, and general mobility, our products are tailored to you. Made from lightweight aluminium available to both transit and self propelled models. 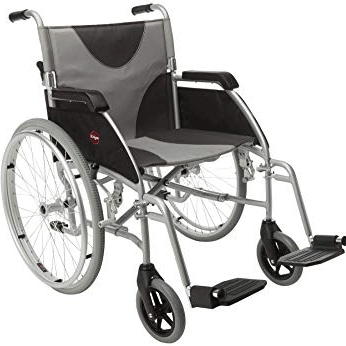 Transit wheel chairs need to be pushed by an attendant and self propelled can be manovered by the user, both chairs fold for transportation and are easy to lift in a car. Lightweight and fold to store in a bag, suitable for occasional use – ie Doctors or hospital visits. Cushions for all user needs are available from us. These wheelchairs are for general lightweight use. Each one is designed to be easily moveable, and this allows for optimum speed and efficiency when out and about. If travelling is something that you enjoy, then one of these folding wheelchairs is ideal. They are designed to be stored easily, whether that’s in a car, or in a cupboard once you arrive at your destination. Whether you use this wheelchair occasionally, or every day, the comfort that offered is great for all needs and requirements. Each one is constructed from lightweight titanium, meaning that they’re also great for active people too. Whether you want a traditional wooden walking with a crooked handle, or a folding stick to fit in a backpack, we have something perfect for you. We provide you with everything you need to remain independent, safe, and supported. For further assistance, we’re also able to supply tripods and quadrupeds. We supply both 3 and 4 wheel rollators from leading manufacturers including the lightest model currently on the market. Are designed to give you the best support possible with adjustable arms and brakes. Seating and back rests add to the convenience of a 4 wheel rollator. 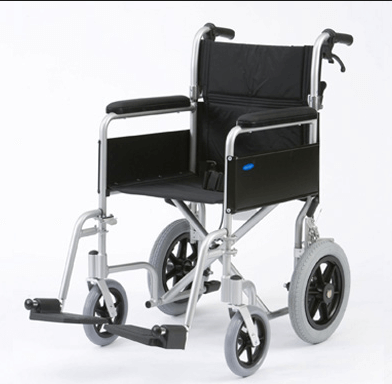 Offer Manovarability and are easy to fold and store, and also have adjustable arms and brakes. We now offer a three wheel rollator with a seat for added convenience. These lightweight walkers come with four wheels, and this is to give you the best support possible. Each walker also comes with its own seat, so you’re able to pause for a little while when you’re out and about. This is twinned with the back support to give you the very best in comfort and usability. Call us today, in Minehead, Somerset, to find out more about our lightweight wheelchairs and walking sticks. These walking aids are practical and are the most manoeuvrable walking aids on offer. This is because you’re able to fold them for easy storage and transportation. Each tri-wheel walker comes with easy-to-use breaks and a waterproof storage bag. Walking frames are supplied in wheel or non wheeled versions , lightweight and available in various heights and width’s these are ideal for indoor use or as a temporary aid.